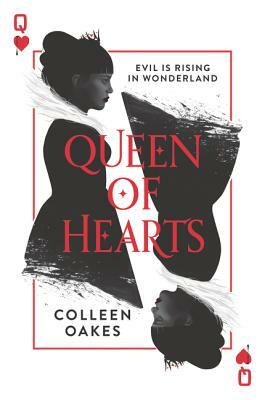 Colleen Oakes is the bestselling author of books for both teens and adults, including the Queen of Hearts trilogy, the Elly in Bloom series, and the Wendy Darling saga. She lives in North Denver with her husband and son and surrounds herself with the most lovely family and friends imaginable. When not penning new books, Colleen can be found swimming, traveling, reading, or advocating for adoption and literacy. Visit her at www.colleenoakes.com. Fans of Alice’s Adventures in Wonderland will enjoy the twists Oakes gives to familiar characters. Heart-stopping action makes the pages fly, and Dinah’s struggle to stay true to herself amid impossible expectations resonates. This latest in fairy tales retold makes the classic villain less villainous by showing her tenderhearted backstory. Every good villain deserves an origin story, and Oakes offers a fascinating glimpse into the mad queen’s complex and heartbreaking past. The novel offers some wonderful reinventions of Carroll’s classic, and fans of Alice’s more sinister elements will appreciate Oakes’ macabre touches.